The soil and the climate have always been here. But it took a few centuries to find the right grapes to plant, to develop the needed modern techniques in the vineyards and wineries, and to see winegrowers emerge with the knowledge, stamina, resources and vision to create iconic, high-quality wines vintage after vintage. It should no longer be a surprise that the East Coast – particularly the Atlantic Coast region of New Jersey, Pennsylvania, Maryland and Virginia, all drained by the creeks and rivers of the Chesapeake and Delaware bays – can produce and is producing excellent wines. The East Coast is also developing distinct if not always officially delineated wine regions – the cooler areas of New York’s Long Island and Finger Lakes and the still on-the-fringe region of New England to the north and the warmer regions of the Piedmont of Charlottesville, Virginia, and the Carolinas to the south, with the baysides of the Atlantic Coast in the middle. Each area is producing critically and commercially successful wines, in spite of the humidity and seasonal extremes. The climate and terrain have also channeled these wineries into a business model (which I have explored at length elsewhere) that is unlike those of other regions in the world. Smaller acreage and greater relative production costs mean that Eastern wineries seldom compete at the low-end of the price spectrum where profits need to be made on volume. And they would not even be competitive in the $20 to $30 price range were it not for one other anomaly – most East Coast wineries sell almost all their production in their tasting rooms, thus cutting out the middle man and costly distribution. At the same time, the tasting-room culture is such that it cultivates loyal, repeat customers who see wineries not only as sources of wine but also as social centers and entertainment complexes. All this has, in turn, allowed the development of iconic wineries whose owners and winemakers (often the same people) are visionary enough and talented enough to produce distinctive wines that are world-class, which allows them to charge prices in excess of $50 a bottle. In this more-rarified category, they can make their profits on margins with relatively small volumes. There are a couple of interesting side effects to this Eastern scenario. One is that wineries don’t really have to be competitive with each other to be successful – that is, most customers are not price shopping but rather gravitating to types of wines and tasting room cultures that best suits them. Second, these wines are seldom rated by the large magazines because their wines aren’t in wide distribution – a neglect that some of the better winemakers see as irritating and other see as benign and sublime. However writers such as myself, Dave McIntyre of the Washington Post and Howard Goldberg in his days with the New York Times have been calling attention to the high quality of Eastern wines since, at least, the turn of the century, risking being looked at as “homers” who over-rate the local players. Additionally, open-minded bloggers have further spread the word. As a result, national publications not interested in rating wines are now “discovering” the different wine regions of the East. Top-level restaurants in New York, Philadelphia, and Washington, who trumpeted their local produce but seldom sought out local wines, are now trying to correct these wine list gaffes. There are four wineries in particular that I consider to be iconic, whose winemakers are visionary in their individual ways and who all are achieving excellent results. To me, they are as fascinating to visit, though certainly less glamorous, than the wineries of California, France, Spain and Italy. Our 250-mile road trip of discovery begins in the flat lands of South Jersey. Bill Heritage didn’t set out to make the best wine in New Jersey and some of the best on the East Coast. Hell, 20 years ago, he and his wife Penni were drinking white Zinfandel. And when they found that Zinfandel also came in a dry, red version, they were blown away. Then in 1999, they took over his family’s fruit-growing business that was born in 1853 in this small town a few miles off the New Jersey Turnpike. “All I could see was red ink,” Heritage recalls. He did not have a shazam moment in which he suddenly saw that making fine wine would turn red ink to black, but the financial slap in the face did set in action a series of business baby steps that proved momentous for Heritage – (1) First, after deciding the soil wasn’t right for blueberries, he attended a seminar in Pennsylvania on growing wine grapes, (2) decided to plant an acre each of Chardonnay and Cabernet Sauvignon on the fruit farm, (3) heeded Penni’s insistence not to sell the first harvest of grapes but instead have a local home winemaker turn them into wine, (4) a few years later hired a California-trained consultant to tutor his winemaker, (5) split the wine business in two, a fruit-wine cash cow (branded “Jersey”) to finance French barrels for his premium wine brand, “Heritage,” and (6) in time decided that since it was possible to make world-beater wines, he would give it his best shot. Heritage has since been named New Jersey Winery of the Year three of the last five times and was a winner of a Judgment of Paris “Lite” contest staged in Trenton with Steven Spurrier in charge. (Mouton and Haut-Brion got better scores, but Heritage beat out Montrose and Léoville-Las Cases.) Although still a fresh-fruit grower, Heritage now has 40 acres of vineyards on four separate sites and makes about 20,000 cases annually, mostly Bordeaux varietals or blends with some Grenache and Syrah mixed in. The 2010 Heritage “BDX” Estate Reserve red blend sells for $70 and received a score of 93, or “Exceptional.” from the Beverage Testing Institute. The one issue that has torn Heritage is Chambourcin, a French hybrid red grape and not purely vinifera. He has five acres of it and is reluctant to tear it out and to replant something more socially accepted that would also fetch a higher price. “Chambourcin can be a bridge wine between sweet fruit wines and fine wines,” he says, and thinks it is the East Coast version – “a barbecue wine” – of his beloved Zinfandel. Thus far, Heritage’s gut decisions have worked well for him, so don’t bet against the Chambourcin someday bearing an “old-vine” label. Anthony Vietri’s family on his mother’s side has always made farm wine for their own tables dating back to when they lived in northeast Italy. When they immigrated about a century ago to Avondale, PA, just north of the Delaware line, they continued to make family wine to keep company with the canned produce and root vegetables in the family cellar. Grapes would be shipped east from California in refrigerated rail cars, and all the local Italian-American families gathered at the train station to pick up that year’s vintage. So when Vietri himself decided to get out of the script-writing business to plant grapes and start a winery on the family farm, he also planted a few rows of Nebbiolo – for family consumption only. “Nebbiolo seldom does well outside of northern Italy, and only in a few valleys there. I hadn’t planned to use it in a commercial wine,” Vietri says, standing in his tasting room at Va La Vineyards, which is shoehorned between a smelly mushroom farm – a huge regional agricultural crop – and a cement factory with a heavily travelled trucking route out front. “Besides, men usually turn up their noses at light reds,” he says. But shortly after he opened Va La’s doors in 2002, his father-in-law liked this new family table wine so well that he urged Vietri to try a few bottles in the tasting room. Albeit not their standard fare, the customers loved it. Vietri has experimented ceaselessly over the past 15 years with several dozen grape varieties and clones to see which grow best and produce the best fruit for winemaking in each part of his 7.2-acre vineyard. The result is four primary wines, each a “field blend” or “vin de terroir” of various grapes grown in one of four vineyard subplots. For example, his primary white, “La Prima Donna” (which is actually an orange wine), is produced from stony soils in the southeast area of his vineyard and is a blend of Tocai, Malvasia Bianca, Viognier, Pinot Grigio and Petit Manseng. His primary red, “Mahogany Va La,” comes from black mushroom soils at the center of the property and is composed primarily of Malvasia Nera, Barbera, Sagrantino, Carmine, Lagrein, Charbono, Teroldego and Petit Verdot. There is also an unusual blend of five clones of Nebbiolo Lampia and Michet with Corvina Veronese called “Cedar,” plus “Silk,” a dry, blended rosato. 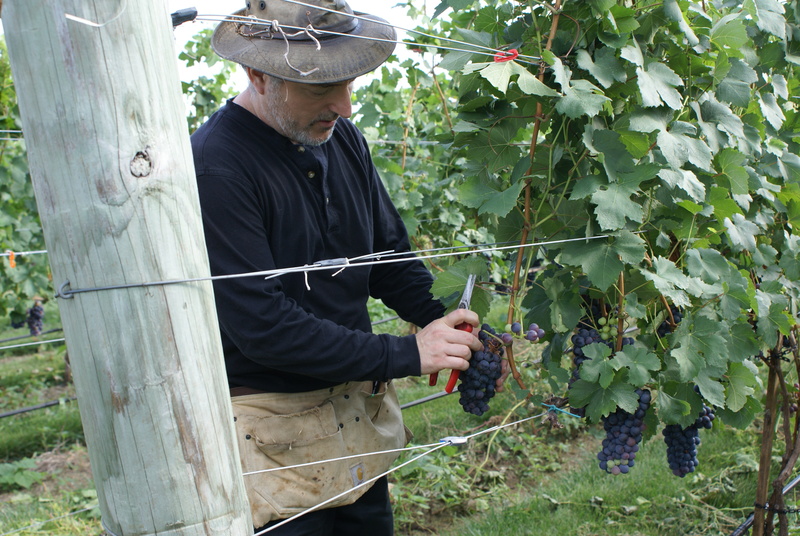 Vietri’s route of discovery took time, effort and money because he at first used standard vineyard techniques for the region and gradually accepted those that worked for him and discarded those which didn’t. “I used to think that the French were arrogant about not needing to green harvest,” he said, but by finding out what grows best where, and, planning according, he has been able to eliminate green harvest and most other thinning techniques. And, although he makes fewer than 1,000 cases annually, he can charge $40 to $55 a bottle and sell out through the tasting room, sometimes even having to release new vintages earlier than he would like. Vietri does not ship his wines nor use retails outlets. However, he does sell limited amounts to selected fine restaurants in the Philadelphia area. He admits to being annoyed that self-proclaimed “source-locally” restaurants in the region have largely ignored local wines, and this his gesture lets them know top eateries are leading the way in now recognizing the quality of Pennsylvania wines. Duly noted. It is a cool and dreary day in the patchwork quilt of farms and suburbs in the rolling Maryland country between Mt. Airy and Frederick. Boyce stands outside of his almost-new winery and barrel room near the bottom of an amphitheater of vines on the gentle slopes at the head of a small valley. This panoramic view of vines is only broken by a rickety ancient barn, like an ailing family pet too cherished to be put out of its misery. 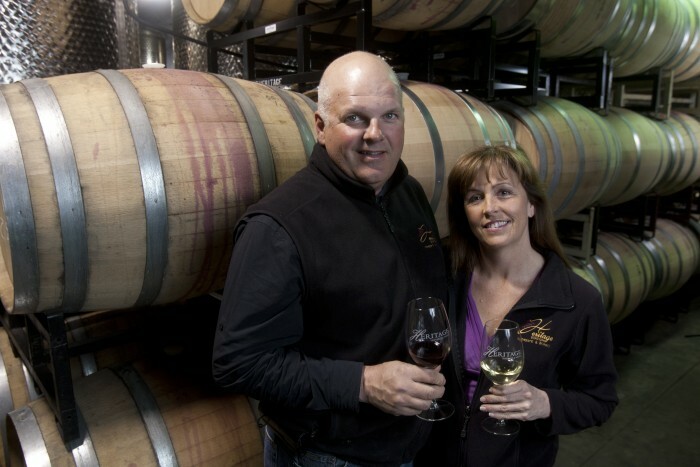 Boyce and his wife Sarah O’Herron, both employed in the financial business, looked for a year before they found this farm in 2001 and planted 22 acres of vines in the next two years. Their first harvest was in 2006, and their first release in 2008. Today they have 42 acres of vines, 37 of which are in production, with another eight possible acres available. Currently, they grow four white and seven red varieties, producing about 8,000 cases, up 2,000 cases from the year before. Boyce believes in the dictum that poor, rocky soil that doesn’t hold water too well is ideal for growing grapes. “You know, Maryland doesn’t have a single natural lake,” he says to prove his point. He also uses a hands-on approach in the vineyard, with each vine being pruned, plucked or otherwise manually manipulated at least eight times a vintage. At first, the couple tried to grow organically, but the humid summers and cold winters made that not possible. Boyce is right that the things you first notice about Black Ankle wines are their vibrancy and liveliness, although flavors aren’t ignored. The style is more French than Californian. “You can’t compete here at the low-prices,” Boyce says, “but at $30 a bottle and up, I have no problem competing.” It also helps, he notes, “to have a winery with 13 million people around us. Local pride is a huge plus for us.” Even if Boyce moves up another 2,000 cases in the next year or so, Black Ankle will probably still sell out before new releases are ready. In the early 1980’s, when I was first writing about wine in the Washington, D.C., area as columnist for the late Washington Star, there were almost no wineries in the region. The handful there tended to make wine we characterized as wines that were “not too bad” – usually a little thin, quite tart and often with some biological in-fighting still going on in the bottle. More than anyone else, Jim Law was the pioneer who changed that image. 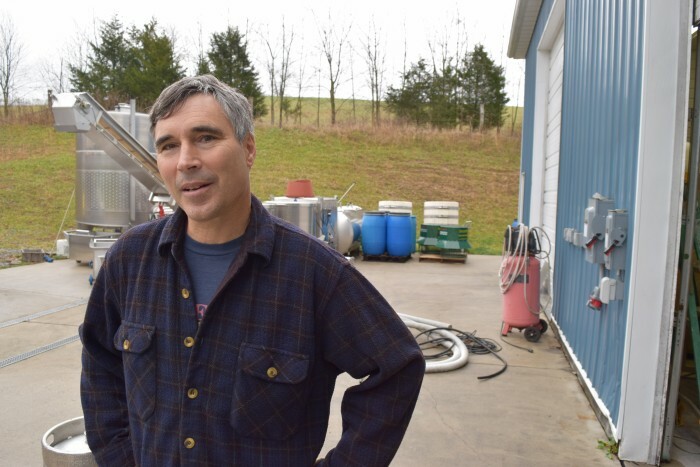 The Ohio native and Peace Corps volunteer had experienced drinking wine in Europe and making it in Virginia when in 1983 he bought an abandoned mountainside farm, which he likes to characterize as “hardscrabble,” in Linden on the outer lip of the Shenandoah Valley just east of Front Royal. Two years later, he cleared the farm – a nice pioneer image – of trees and brush and planted six acres. He selected two vinifera varieties, Cabernet and Chardonnay, and two hybrids, Vidal and Seyval. The first vintage was 1987, with the first release being in 1988 when the tasting room opened. “My main goal was to make a little money farming,” he says, and in the early days there were delicious heirloom apples to buy along with Linden wines. By the early 1990s, Linden’s reputation had flourished to the extent that the Inn at Little Washington – the East Coast equivalent of the French Laundry – had one of Law’s blends on its wine list, albeit at half the price of the next budget red, a wine from France. Today, the apple trees are just a sweet memory, and Law has 18 acres of estate grapes around the winery and buys grapes from two nearby vineyards – one four acres, the other seven – that have close ties to the winery. Currently, he makes about 4,000 cases, but he soon will again be ramping that up. 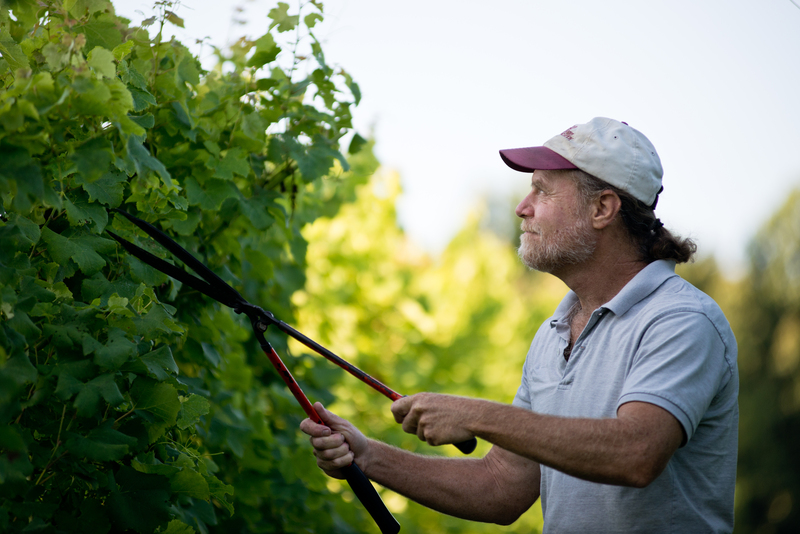 During those 10 years, he tore out Cab and Chard and then replaced them with… Cab and Chard, sometimes one being planted where the other had been, as well as using different clones and re-orientating vine rows. Additionally, the Seyval and some Riesling vines were retired. “We need to be back to where we were 10 years ago with 5,000 to 6,000 cases,” he says. Law has also become a teacher, consultant and mentor to other winemakers. “I try to help anyone who asks,” he says, “plus we have our own apprentice program.” He has also worked himself into a position that many winemakers in the hyper-competitive atmosphere of northern California can only dream of. I think you missed an iconic winery in PA. Penns Woods is an outstanding winery. I am a member at Heritage and frequent Va La often. I believe Penns Woods is the best winery in PA right now. 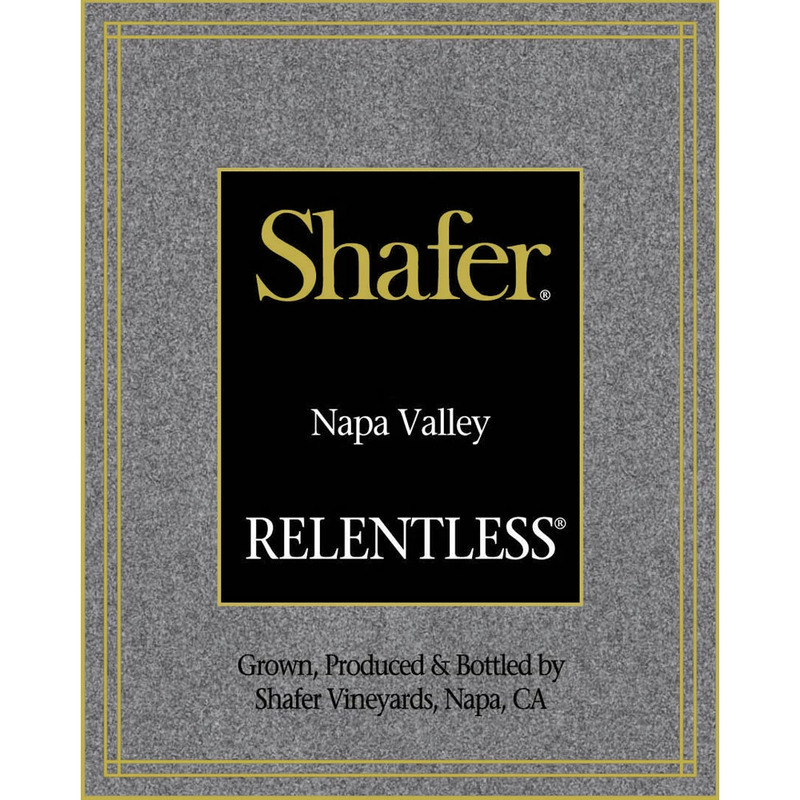 Their wines are outstanding and their new release of Cabernet Sauvignon 2013 Reserve is second to none. If you haven’t been there you should. Carly, Andrea and their entire staff do an outstanding job. They deserve to be recognized as an Iconic Winery!! I have been following Penns Woods since it was Smithbridge. I agree that Gino is an excellent winemaker and enjoy his wines – as I do those from Grace, Galer and several other Pennsylvania producers. What I did was to choose wineries that both make excellent wines and have been groundbreaking wineries. It’s not a matter of exclusion/inclusion, and I’m not suggesting any classification system. That said, I’m comfortable in sticking with the four iconic wineries I chose. Great write up. I’ve heard a lot about Va La Vineyards over the past year. Sounds like I need to pop in for a visit!